17 cm tall (6.5 inches). 16 cm wide. Show your love of the wild with this charming figurine. 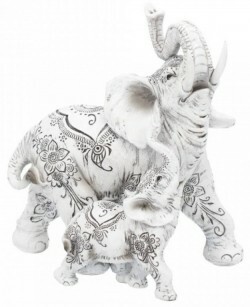 Detailed elephant and baby figurine with trunk up. Unique figurine for the home. Solid feel and excellent quality.